Tart handmade trachanas with hard flour, semolina, sour milk,2 eggs / kg and salt. 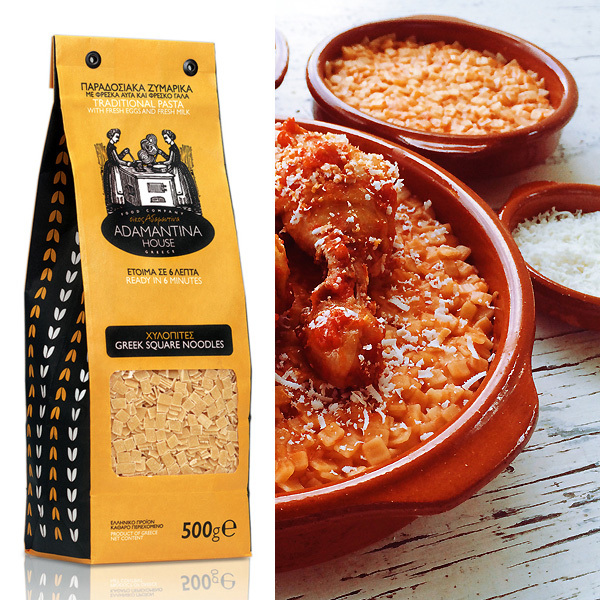 O trachanas, a plate of traditional Greek diet, characterized by very low calorie and low fat it contains. The nutritional value is similar to that of meat. The story wants trachana be an evolution of the slurry in which fed Greeks and Romans in antiquity.For our ancestors, trachana played very important role for the survival of a family, so they are packed in metal cans or clay pots and kept in a cool place for more than a year, until the amount is exhausted. Housewives began preparing the early summer months, to dry, to pack and be ready for next winter. 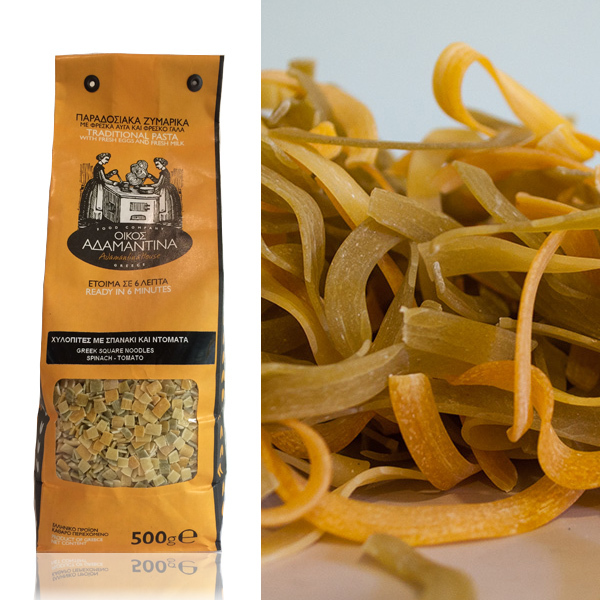 The long life of the product is its biggest advantage, giving it a unique position among the most nutritious products of the traditional cuisine. Three small cups trachana equivalent to one full meal and give the human body all those ingredients that it needs to function properly. 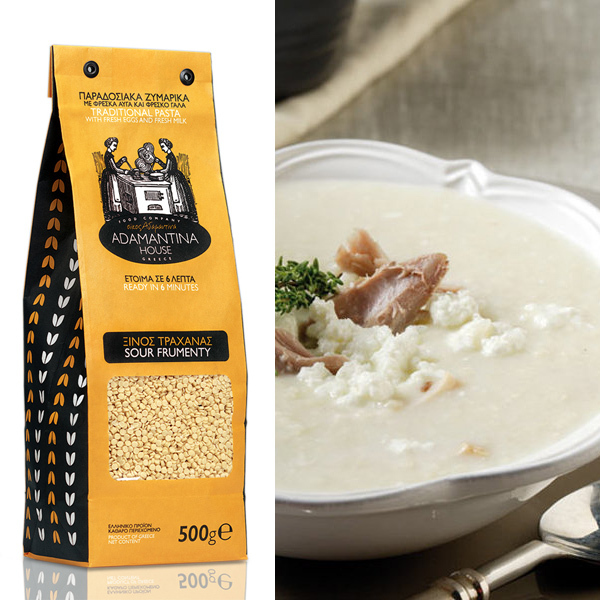 In the classic recipe that goes back to antiquity, trachanas cooked as soup with enough water or more thick. 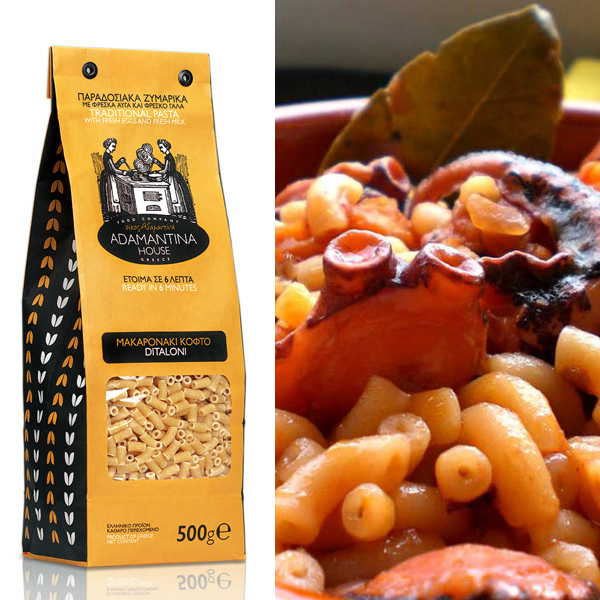 Boil plain or with tomato and often accompanied with feta cheese or grated cheese. If you want to make it healthier, add more olive oil at the end, after cooking, so as not to lose their nutritional value.